Grüner Veltliner, Austria’s indigenous grape varietal, akin to the robin, the harbinger of spring. One of the most versatile and delicious grape varietals, Grüner Veltliner pairs well with just about everything, and most lovingly with spring’s bounty, and summer’s debut. Think green. Weingut Knoll, nestled in the village of Unterloiben in the Wachau wine region in Austria’s northeast, is a fourth generation winery. 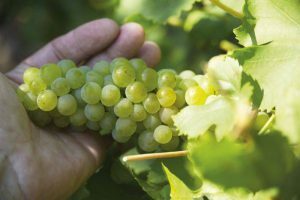 They focus on Grüner Veltliner and also Riesling, as well as a cluster or two of Chardonnay, Gelber Muskateller, and a handful of other grapes. Take note of their labels: They depict the image of St. Urban, the patron saint of winemakers and vineyards. 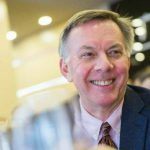 A word about Grüner Veltliner: There are similarities to Pinot Grigio’s slight girth, tone, and floral lilt. Likewise, it can offer an ode to Sauvignon Blanc, with its minerality, bright acidity, and liveliness. Sometimes it gravitates toward its vegetal, savory side, and sometimes to a racy flush. 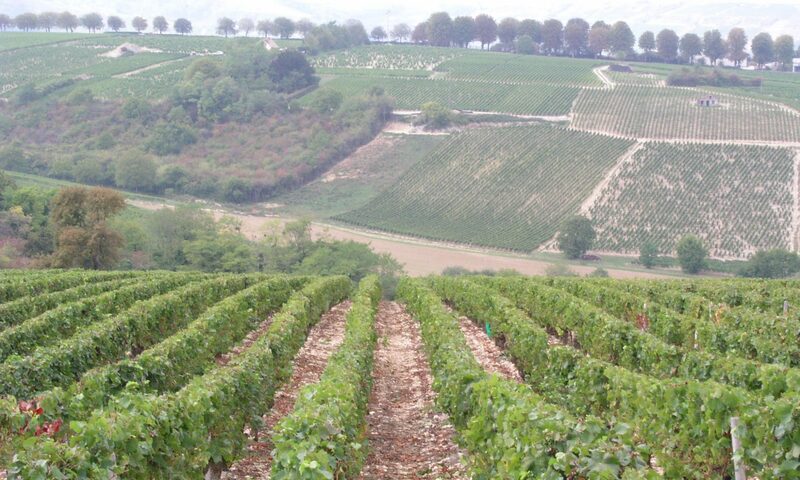 Steinfeder: Early harvest, rarely seen in the US, fresh, lively, grassy. Federspiel: Named after a falcon hunted in the Wachau, discreet in their opulence, pedigreed, no more that 12.5 % alcohol. Smaragd: The most sought after, and most pricey, late harvest, with a minimum 12.5 % alcohol, but not sweet, at their best, riveted with grace and girth, wines to make you stop, pointedly, and take notice. Named for an emerald lizard, of the same name, drifting about the Wachau. Decadent restraint. This bottling is a Federspiel, well priced, classic, delicious. The Knoll wines are imported by Circo Vino, an importer started by the lovely Sariya Jarasviroj Brown, based in Arizona, specializing in Austrian wines. 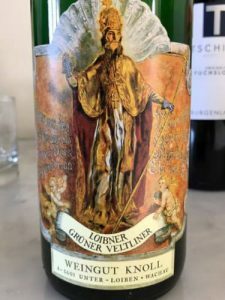 Weingut Knoll Grüner Veltliner Federspiel | Wachau Austria | About $25, distributed via Martignetti at Classic Wine Imports. Paige Farrell – wine manager at Fat Hen in Somerville – is a long time Boston Wine School educator. 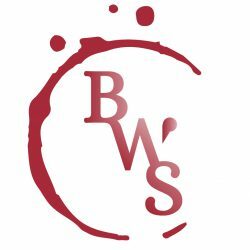 She is also WSET Certified, Level 3 Advanced Wine and Spirits.